Classes run in conjunction with Queensland School Terms and regular holiday sessions are available. Participants will be educated in running and sprinting techniques and invited to the end of term breakup to receive their very own certificate with their personal fitness test results. Our High Performance Program is designed for athletes wanting to go to that next level of sporting excellence. Contact us today for more information. 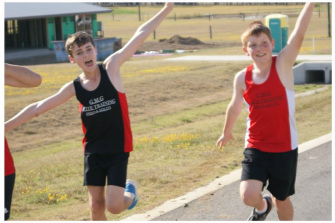 ​Gaven State School Sessions requires a minimum of (2) two sessions per week for progressive results. Coomera Rivers State school are able to train once per week as we are only available Mondays and Wednesdays. Proven results helping participants achieve their sports and athletic goals. Feel free to leave a detailed message below.